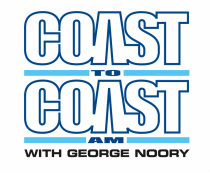 Listen to Matty Beckerman's interview on COAST TO COAST AM with Host George Noory and Brown Mountain Lights Expert Joshua P. Warren. Matty & Joshua discuss real abduction stories related to the BROWN MOUNTAIN LIGHTS as well as "ALIEN ABDUCTION." ALIEN ABDUCTION is directed by Matty Beckerman and stars Katherine Sigismund, Corey Eid, Jillian Clare, Peter Holden, and Riley Polanski. Based on the real-life Brown Mountain phenomenon, this found footage sci-fi thriller follows a family who goes camping in the mountains of North Carolina. The first night goes by without a hitch even though they see some strange lights in the sky moving swiftly in some odd formations but the moments quickly passes and he family ends up moving on to their next camping location. As the family heads towards their next destination, this is where things begin to get a little uncomfortable. They experience things like the electronics in their car malfunctioning, especially the GPS. They also run up on some abandoned cars and trucks (even a cop car) and all of them have their doors open and belongings thrown everywhere. This is where we see the first encounter and not only is this a frightening experience for the viewer but it’s also where we lose one family member and it’s still early in the game folks! The remaining family members run for their lives as we watch the lights, horns and sirens go off and this just adds to the already terrifying moment the movie just offered. The family quickly jumps back in to their vehicle to flee the horrifying scene and then all of a sudden birds begin to fall from the sky; not one, not two but dozens fall for no reason at all and this just adds to the already unsettling creepy vibe the movie is now putting off. They end up at a cabin out in the middle of nowhere where they meet up with a reclusive hillbilly type with gun in hand and ready for afire fight, the only thing is he doesn’t know what he’s up against. It doesn’t take long for the aliens to arrive at the cabin with bright lights a blazing. This is where we get another huge payoff that so many other alien abduction movies fall short on, we get the beam of light from a craft we never actually get to see ( just hear) and it captures anything or anyone that gets in its path. This is where we lose a few more people and once again, it is in a horrifying manner as the movie shows off some and lets the viewer watch these victims not only get sucked up in the light but they get placed in some really awkward positions (almost compact like) that will make anybody watching this cringe, even a contortionist. Hey, you gotta break a few bones to fit in that beam of light! As the movie heads into its final stage, there’s only two family members left, the younger son and his older sister. We watch the two run for their lives in the woods, they get separated for a brief time as we hear the eerie sound of what’s above them searching and we get just hints that there are these aliens in the shadows gaining ground. Thechase does finally have its ending and lets just say, it’s one of those unsettling endings that aren’t at all too happy. This is where the viewer gets an eerie grand tour of sorts of the inside of the spacecraft where we see and hear some of these abductees get a little work done, you know what I mean don’t you! Okay, there is so much good about this movie and very little that’s bad, so yeah, they got it right! First of all, the movie is based on some actual events and this element adds so much to it, especially with the little pop ups from interviews that mention this local legend and the missing people. While get get a saturated amount of found footage movies these days, very few of them succeed in a way that actually frightens the viewer but this movie does just that and more. While Alien Abduction does have some cool special effects, they’re used sparingly, instead the movie focuses more on its characters and the unseen/unknown that is after them. When I say unseen/unknown, I mean we see very little of these aliens but when the camera gives the viewer a glimpse, it’s full blown found footage terror! They used the found footage just right except for letting the youngest kid be the one to tell the story with hisvideo camera, I’m not sure how many parents out there will purchase a young kid an expense piece of equipment like this but besides this little issue I had, the rest of the movie and its execution was fantastic! Bottom line is, Alien Abduction is everything Dark Skies and The Fourth Kind wanted to be! This is alien horror and found footage done right, it holds nothing back and it never slows down. The movie is loaded with some chills and thrills and those jumpy moments so many other movies are lacking and the short glimpses the you get of these aliens and what they are capable of will stay with you long after this movie ends! Alien Abduction is Blair Witch meets Fire in the Sky! PS- Sit through the end credits! Posted: Sunday, March 23, 2014 10:14 pm | Updated: 10:31 pm, Sun Mar 23, 2014. A brand new Independent Film Channel production will be released on April 4 that puts a stirring, supernatural twist on a legendary North Carolina phenomenon — the mysterious Brown Mountain Lights. The director and producer will bring the film back to its Burke County roots before it hits theaters across the country, and “Alien Abduction” will premiere at Marquee Cinemas in downtown Morganton on April 1. Director Matty Beckerman of Los Angeles said he was inspired to create this film by the remoteness of the North Carolina mountains, having learned about the perplexing lights as a child while visiting his grandparents in Blowing Rock. As a director, he decided to use the mystery of the mountains and the myths behind the Brown Mountain Lights to create an unnerving tale. Known for his research into things unexplained, Joshua P. Warren — an Asheville native who spent more than a decade conducting his own investigations on Brown Mountain — released a guidebook that summarizes the myths and theories behind the phenomenon. “The mountain is a phantasmagoria of strange tales, but ultimately it is a vast blank slate. It is the tracing board for all manner of human adventure, exploration, wonder and imagination,” Warren said in the guidebook. “Regardless of what they are, the mere concept of the Brown Mountain Lights makes them important. For more than a century, researchers and investigators have developed a vast array of theoretical possibilities that could explain the lights — ghosts, UFOs, conspiracy theories and scientific explanations. “And in this Internet age, when the whole universe seems right at our fingertips, how refreshing it is to have a good, old-fashioned mystery still quietly waiting to be solved, right here in our own backyards,” Warren said. Most published research has been inconclusive, and the element of the unknown provided Beckerman with an opportunity to create a wild and unnerving piece of fiction that he said will grab the attention of the audience from the beginning. The 85-minute science fiction thriller was filmed in parts of Avery, Buncombe, Burke and Watauga Counties in 2011 and uses a found-footage format to tell the story of a family camping trip to Brown Mountain. Beckerman describes “Alien Abduction” as a psychological thriller that does not rely on blood and gore to stir emotion. “Sometimes the things you hear affect you more than the things you see,” he said. 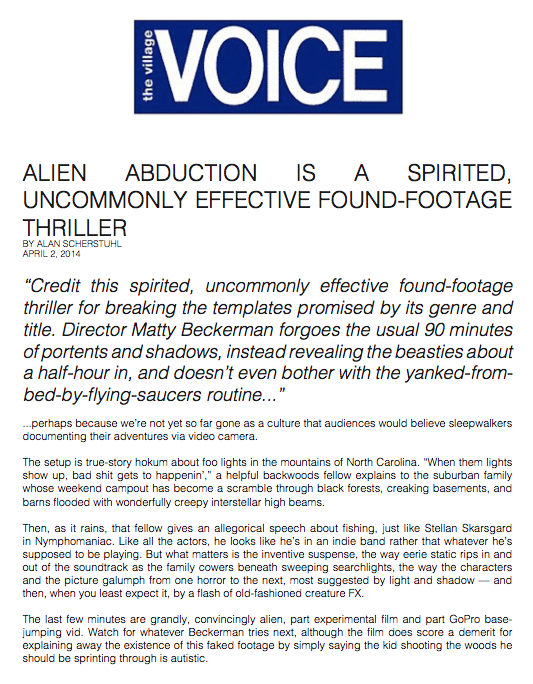 Beckerman said test audience members commented that “Alien Abduction” incorporates creative experiences similar to that of “The Blair Witch Project” and “Signs” (2002), which starred Mel Gibson. The film features interviews with Warren and scientist John Caton, the two people most associated with investigating the lights. Because “Alien Abduction” was based on local legend and filmed here in western North Carolina, Burke County Tourism Director Ed Phillips said Morganton is the perfect place for the film to make its debut. Phillips, who was instrumental in organizing the premiere, said he feels the event and the film will generate renewed interest in the mysterious lights. 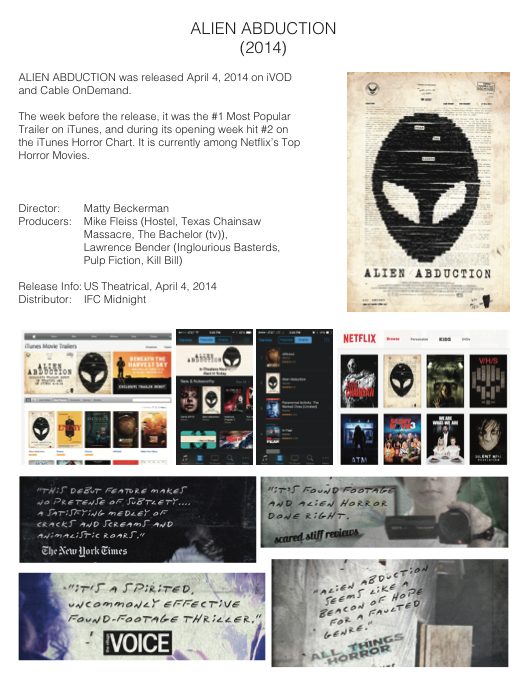 Before its nationwide release, “Alien Abduction” will be screened at 7 p.m. on April 1 at Marquee Cinemas, located at 101 S. Green St. in downtown Morganton. “This will be great for tourism. The movie is fiction, but the lights are there — they're real. Anyone can go to see them." Beckerman and producer Cathy Beckerman will travel back to North Carolina for the premiere and will host a question-and-answer session immediately following the premiere. 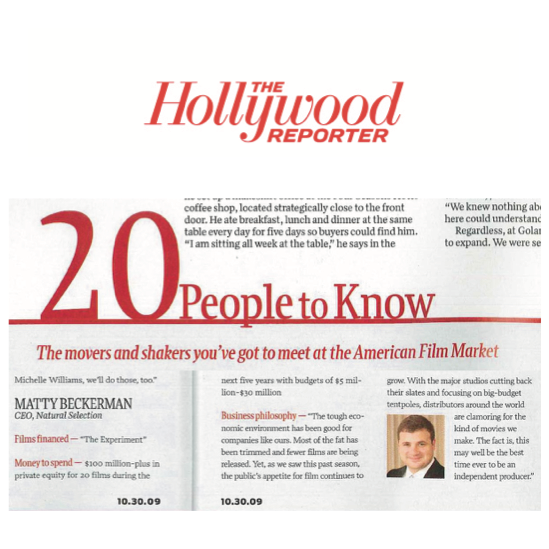 “Making this movie in Burke County and being able to debut the film there is a special moment for me. I believe people are going to really react to it,” Matty Beckerman said. 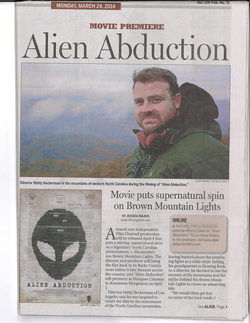 “People will see this worldwide and it will draw attention to the Brown Mountain Lights. 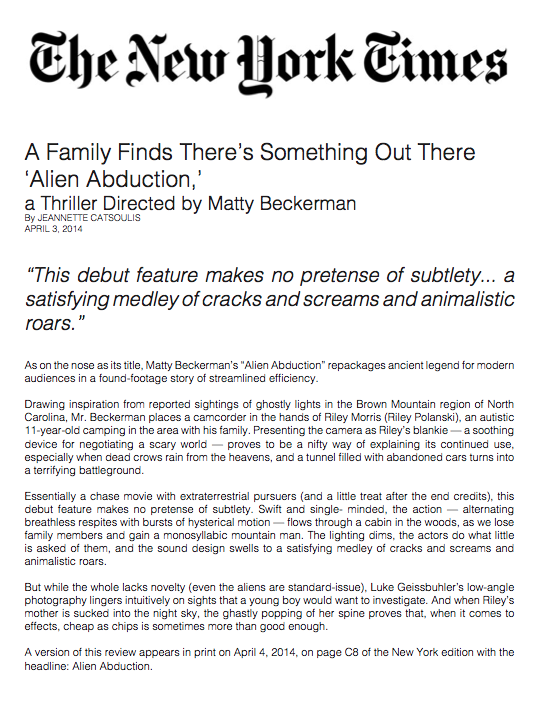 For more information on the film and to purchase tickets to the premiere, visit www.alienabductionfilm.com. For more information on the BML phenomenon or to read from Warren’s guidebook, visitwww.brownmountainlights.com. "I highly recommend ALIEN ABDUCTION. It’s found footage and alien horror done right. " "ALIEN ABDUCTION is an amazing film. The characters are very believable and the aliens are terrifying." There is a lot of found footage lately and most of it is complete trash. PARANORMAL ACTIVITY is a good example of what’s wrong with the sub-genre of the horror world, and ALIEN ABDUCTION shows how a found footage can be done correctly. IFC Midnight presents ALIEN ABDUCTION, a film by Mike Fleiss (HOSTEL) and Lawrence Bender (INGLOURIOUS BASTARDS). We have a family going camping in North Carolina and witness a phenomena known as the Brown Mountain Lights. Some believe it to be swamp gas, but others know the truth. We are dealing with aliens here and it is a hot spot for abduction.